The first RT I had was the original with the trailing point. 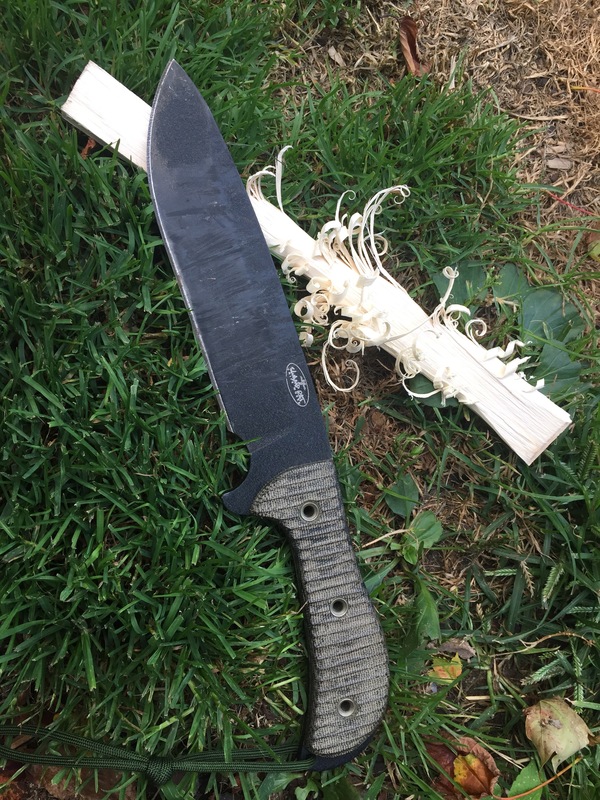 I used that blade on a bull elk and while it did the job, the trailing point is just not what I prefer for splitting legs and gutting. 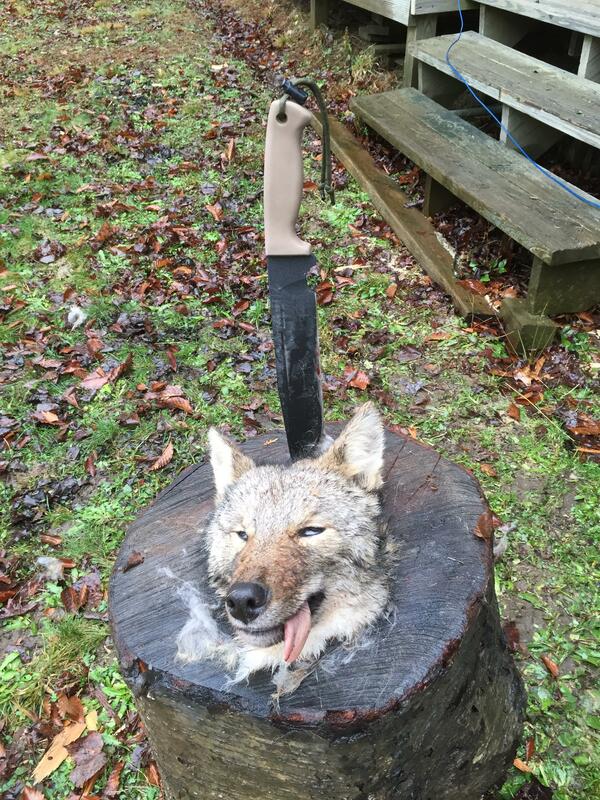 Too much chance of puncturing the gut and cuts deeper than I want when splitting the hide for skinning out the legs. I much prefer the control of a drop point for those jobs. 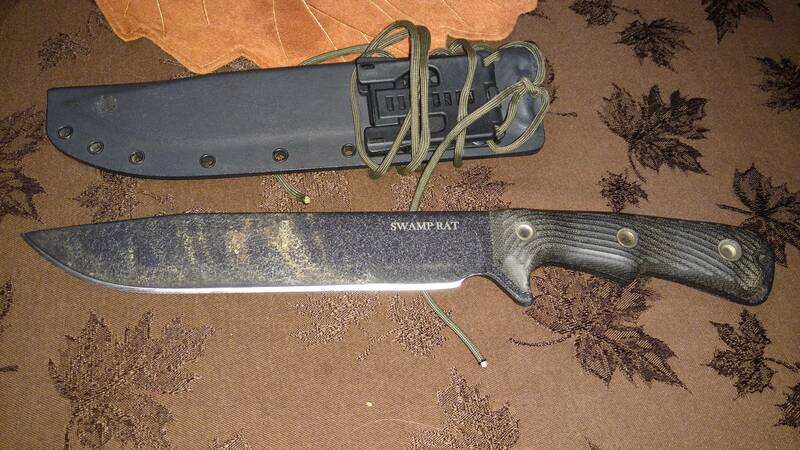 Also, I make a big distinction between what I see as 'field-dressing' blades and 'skinning' blades. 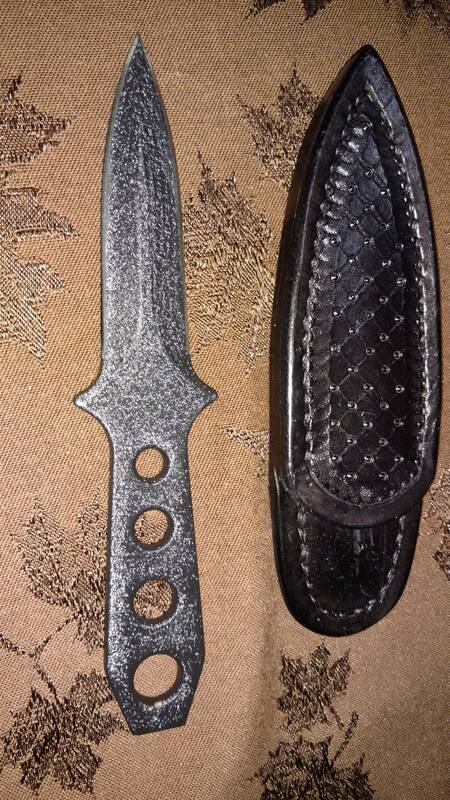 I think there is too much ambiguity in the knife world about this. 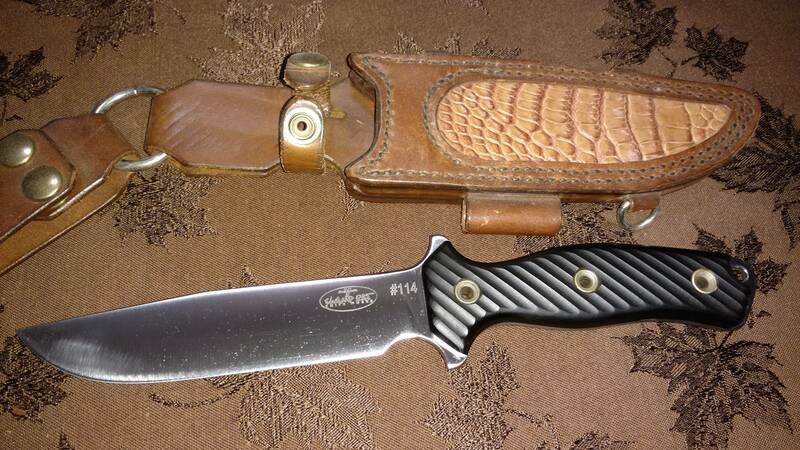 What I described above with the drop point is what I want in a field dressing blade......a blade that is controllable for making precise slices down the legs that splits hide without cutting muscle, and also that splits the hide and muscle that hold the innards without puncturing gut. You use the forward portion of your blade and tip, holding the knife inverted, to accomplish these cuts, the DP excels here. 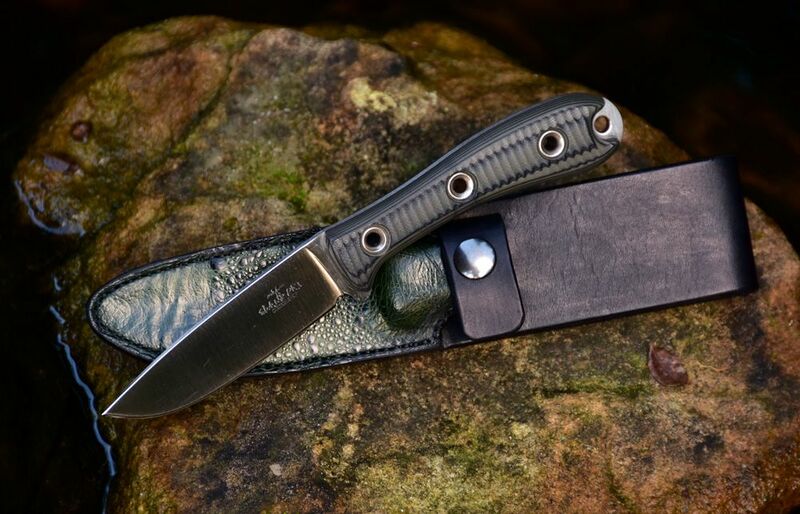 For a pure skinner, that is, a blade that you are using to remove the entire hide from an animal after it has been field-dressed, the trailing point is a great design. Removing the hide requires long, sweeping cuts on the lower portion of the blade out into the belly of the blade. The upswept tip of the trailing point keeps the tip from puncturing because you are now pulling the blade to make slicing cuts. Also, the design of a trailing point adds a lot of length of cutting edge that you can take advantage of to get long slices ---> working from the ricasso out to the tip as you draw the blade toward you. tl/dr version: A drop point works great held inverted to make piercing cuts that are controllable as to depth of cut when trying to avoid piercing gut and hitting muscle. A trailing point design is a superior 'pure skinner' used in hammer grip and drawn toward you for long cuts done during hide removal. Luke, do you know Ian over on the main Swamprat forums? HK said it about the same way as I would have. A DP (I actually prefer DPs for most tasks) gives you much more control when you are trying not to fugg up a critter in the field. I must admit to not being much of a fan at all of the TP for about any task, it just does not work for me. Same here. And since the drop point is already on me it gets the skinning duty as well. Thank you both @Andy the Aussie and @Hard Knocks! Very clear, concise explanation. Understood! For fishing, i don't really need to bring a knife with me for processing the fish. I just kill em / whack em in ice and do it at home. Your preference for a DP makes perfect sense as you are carrying in the field. P.S Dave, i'm afraid I don't participate on the Swamp Rat forums, so I don't know Ian. He lives in Australia like you and Andy, Luke. I guess that's part of why I asked. He's also as nice a gentleman as you'll ever talk to, and exceedingly knowledgeable about handling tasks like we've just been discussing. I would be very happy if I were ever able to meet and visit with him in real life (not to mention many more of the Australian busse-kin fanciers) but it's going to be a pretty hard thing, me with no passport, and him with no desire to ever board an aircraft. Keep reading/watching about it until you get the chance to try it. It will help, but you already know there's no substitute for experience. Cheers to you! This is tuff. I love all my Rats but the tramp and Gen 1 HR and battle rat and swamp Warden get the most use. The choppy is also a fav. If I could only keep a set from my whole collection I'd keep my set of Res-c rats in my first pic. Uncle Timbo, rpn and Hard Knocks like this. haven't really used it much, but thought the new guys might get a kick out of it. I do. 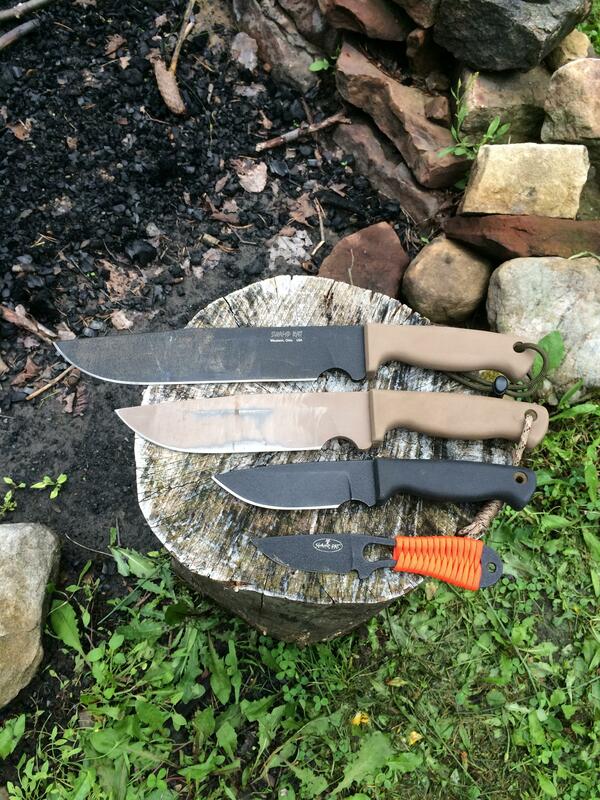 If I want a drop point, usually just use a trusty c/s Rodent Solution or Game Warden. Though I can see some benefit to the longer DPRT. I find that with the choil I had added to my RT, it really helps because then I can choke up on the tip, which really helps with control. Eliminates some of the trailing pint issues. I also like the Active Duty design, especially the Elmax HACK variant with the choil and the BAD (not shown). 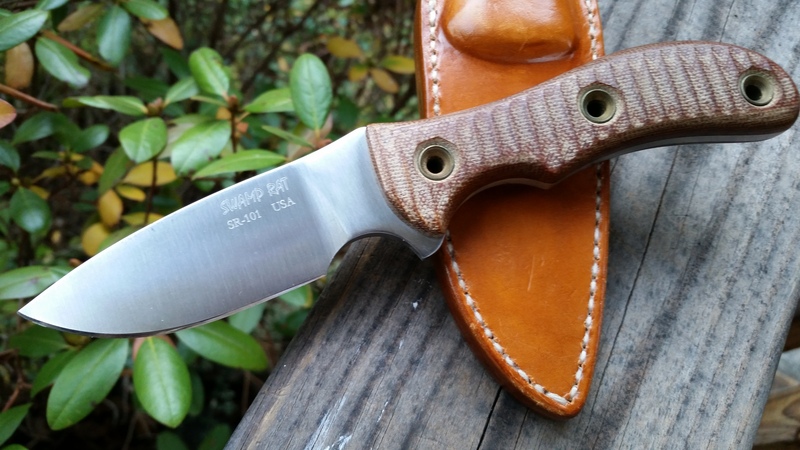 The thin, slicey Elmax SYKCO 460 is also a favorite hunting knife! rpn and Hard Knocks like this. ^Great comparison picture there. I'd never seen the two together before, very nice. I did run off at the mouth about that one a bit much I'm so glad I got my orders in for those and the drop point RMDs before they closed the custom shop down though!! They are a nice knife !!! My M6 is the twin to yours !!! I am surprised how little publicity they get !